Recycling is an essential part of waste management strategies around the world. By placing your unwanted items in the recycling, rather than the trash, you will be protecting the environment while also keeping our landfills clear. For large scale recycling projects, it is a great idea to contact a company offering roll off dumpster rental near Atlanta. With a roll off dumpster rental, you will be able to dispose of larger quantities of recyclables at one time. Your dumpster rental company can also provide you with more information about what types of materials are suitable for recycling. 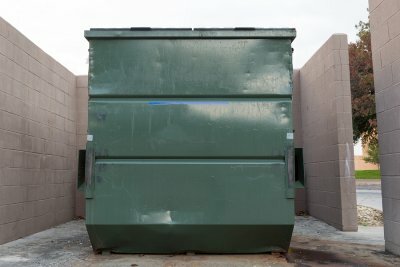 To highlight the benefits of scheduling a dumpster rental today, here is a look at the great benefits of recycling. One of the best reasons to recycle is that recycling is a terrific means for eliminating the generation of garbage. In the past few decades, Americans have been sending more garbage to landfills than ever before. In fact, our country dumps more than 100 million tons of waste in our landfills each year. By taking the time to recycle, you will be doing your part to help eliminate garbage. Along with reducing the amount of garbage that we produce overall, recycling is also a major step towards reducing the pollution that comes from landfills. When landfills become overfilled with garbage, they can create harmful chemicals and other pollutants and toxins that slowly enter the environment. These pollutants, known as leachate, can be reduced with careful recycling. The term “reduce, reuse, recycle” describes another great benefit that recycling has to offer our society and planet. When you recycle metal, paper, or glass, these items will be reused in new applications across various industries. Rather than having to source their materials from new resources, manufacturing companies are now able to use a great majority of recycled materials. With these great benefits in mind, you should be sure to start recycling today! 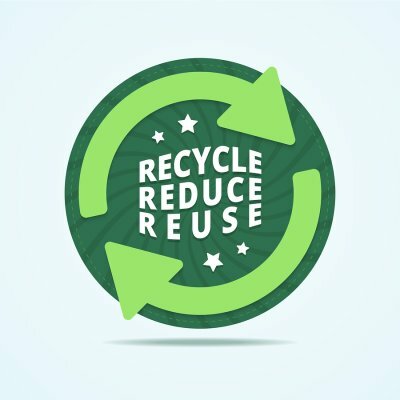 While all recycling serving Atlanta aims to protect the environment by keeping reusable materials out of landfills, not all materials are recycled the same way. When it comes to metal recycling, the steps might even vary between different types of metals. Between aluminum, scrap and precious metals, and steel, metal recycling works in a range of different ways. Feel free to continue on if you would like a closer look at how metal recycling works. Metal retains its durability each time it is melted down, making it a great candidate for recycling. While there are many different types of metals, aluminum is among the most popular when it comes to recycled products. 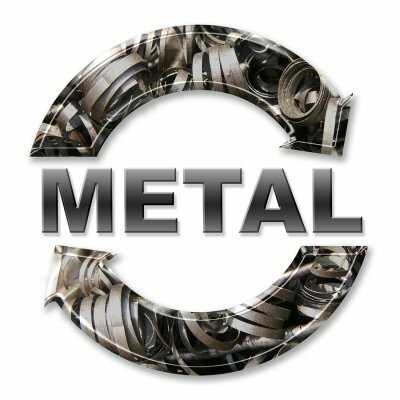 A metal can might even be recycled into a new can in less than two months . Soda and beer are both popular products in the United States; these products make their way off the shelves almost as soon as they are stocked. This contributes to a great deal of aluminum waste, which many households have done an excellent job of recycling in the past. Families often set aside a specific recycling bin for aluminum cans. They then take this bin to the curb on recycling day so that their cans can be retrieved and recycled. While an aluminum can may be your prototypical idea of a recyclable product, there are other metal products that can be even more valuable to recycle. Many homeowners who throw out old appliances do not realize that they can actually make money off of these broken machines. This process is not unlike selling a car for parts. Precious metals like gold and silver can also be melted down and reused, and you can fetch a pretty penny in doing so. One of the many benefits of recycling is the ability to create a new product without expending as much energy. This is particularly apparent in the case of steel recycling. You might bring your used steel to a collection center, a supermarket, or simply to the end of your driveway. Countless different types of materials find themselves in landfills eventually, but many of them break down over time. Used plastic, on the other hand, is one type of waste near Atlanta that continues to take up space indefinitely; this is why it is important that your plastic bottles make it to your recycling bins. Watch this video clip for a look at the importance of recycling plastic bottles. Recycling plastic bottles is a simple process. You can sort them into your recycling bins and leave them at the curb on recycling days, or you can bring them to recycling centers yourself. Old plastic products will be ground down and sterilized so that the material can be used to create new products. Due to the ease with which you can recycle plastics, many households have gotten on board. As a result, the plastic bottles you use today have already been partially recycled. People need to be careful about how they deal with their waste near Atlanta; throwing recyclables away contributes to overflowing landfills, while excessive amounts of junk can make it difficult to keep business moving. Whether you need to clear out your recyclables or your trash, renting roll-off dumpsters can help . You can keep these dumpsters on your property until you have collected your disposables and then move them to the desired location. 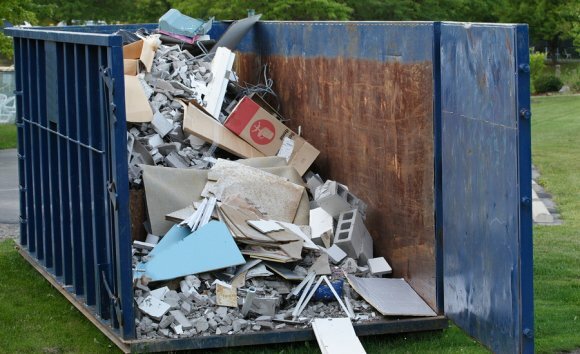 Here is a closer look at some of the benefits of roll-off dumpsters. If you have a significant amount of waste to deal with, your standard garbage bins might not do the trick. Fortunately you can rent roll-off dumpsters from waste management companies like Southern Waste & Recycling. Roll-off dumpsters are particularly convenient because they can be easily transported from place to place. Your waste management professional can drop it off at your workplace, and you can then send it where it needs to go once it has been filled. Roll-off dumpsters come in various sizes, so you should not have a problem finding the perfect unit for the needs of your business. You can also talk to your waste management team about roll-off dumpster service options. Recycling serving Atlanta has become a cornerstone of the green movement, and it helps keep tons and tons of usable materials in circulation. While you know the truck that comes for trash pickup will bring your garbage to a landfill, you can rest assured that the products in your recycling bins may see the light of day again. Watch this video for a quick overview of the recycling process. Once you have used a product or finished a meal, you are then faced with the decision of what to do with the remains. The contents of your garbage can will end up in a landfill, but the contents of your recycling bins might end up back on shelves as new products. This helps to save energy, free up space in landfills, and stimulate the economy. If you can find a new purpose for your used materials, you can also reuse them yourself. At this point in time everyone shares one planet, and every individual on earth has an impact on its health. In order to preserve the environment and use resources responsibly, people and businesses alike must act in a sustainable manner. Southern Waste & Recycling specializes in waste near Atlanta . This means that we must lead the way by teaching others how to practice responsible waste disposal so that resources can be reused instead of wasted. Read on to learn about some of the sustainability measures we have enacted at Southern Waste & Recycling. 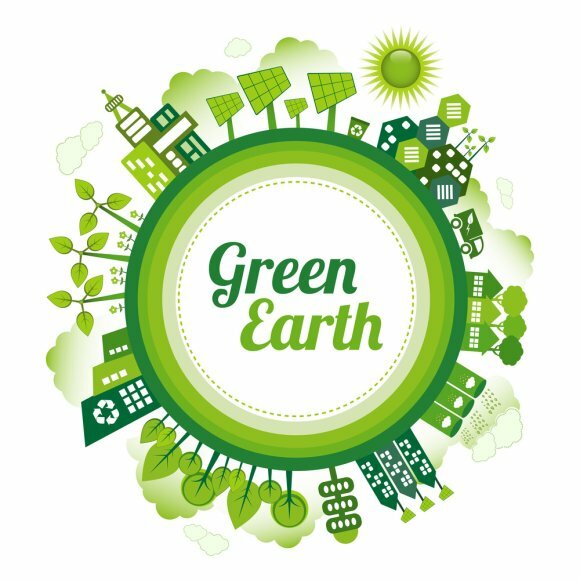 Many companies are interested in operating in a more sustainable and environmentally friendly manner but lack the understanding to do so. This is why we are happy to set an example for companies and consumers alike. 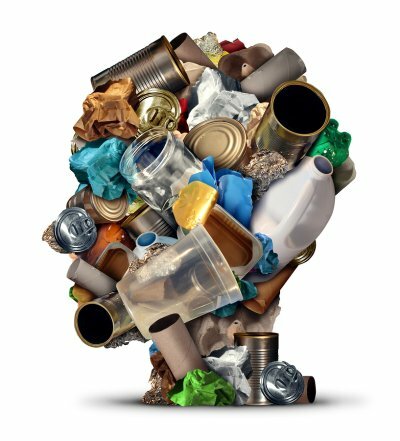 We can analyze your waste stream to get a clear idea of what your waste disposal habits are like so we can suggest alternatives. Our team is trained to help you improve your waste management techniques and take on more sustainable policies. This can even help you save money and enjoy new opportunities in addition to protecting the environment. We aim to bring about measurable sustainability and a healthier planet. People have a habit of throwing out reusable materials, and this contributes to the massive amount of trash that currently packs our landfills. Recycling serving Atlanta, on the other hand, aims to keep these reusable materials in circulation by repurposing or reforming used products. You may be familiar with the “reduce, reuse, recycle” mantra, but many people do not understand how the process actually works. Keep reading if you are interested in understanding the steps of recycling. The recycling process starts when a consumer finishes a product and makes the conscious decision to have it recycled rather than throw it in the trash. Unfortunately many consumers skip this step, which is why landfills are currently filling to the brim. Other consumers, on the other hand, decide to do their part to help the environment by responsibly disposing of their used products. There are several ways you can ensure that your recyclables make it back to the shelves, and these options are the integral first steps in the recycling process. It helps to keep your regular garbage and your recycling in separate bins so that you can bring them each out to the curb on the appropriate days. You can also bring your bottles, cans, and other recyclable materials to bottle return centers or even to actual recycling centers. Once you have done this, you have taken the first step in recycling. When a recycling delivery arrives at the processing center, the first order of business is to sort extra materials out of the mixture. Workers will first remove non-recyclable materials that may have found their way into the mix. Then glass will be screened out , followed by metal. Metal is typically sorted out of the mixture using magnets and eddy fields. Once each type of recyclable material has been sorted out and grouped together, these groups will be sent to the baler. The baler creates a bale of plastic, paper, metal, or other material so that the recycling plant is left with neatly organized bales of recyclables. Then they can be shipped to manufacturing plants to be repurposed.